Kemono Friends is a multifaceted project featuring an anime, a video game, a manga, collaborations with Japanese zoological gardens and more. The title logo and design both play a significant role: using a single worldview while working on the development of many different projects. A few examples of such designs are the Kemono Friends logo, the の mark which is used as an icon, the logo of the idol unit PPP and so on. The company behind all these designs and more is called Y's. The same company created the title logo and packaging for Angel's 3Piece!, the poster and goods for the movie Kuroko no Basket: Last Game and, most recently, the new logo and visual work behind Ginga Eiyuu Densetsu: Die Neue These. 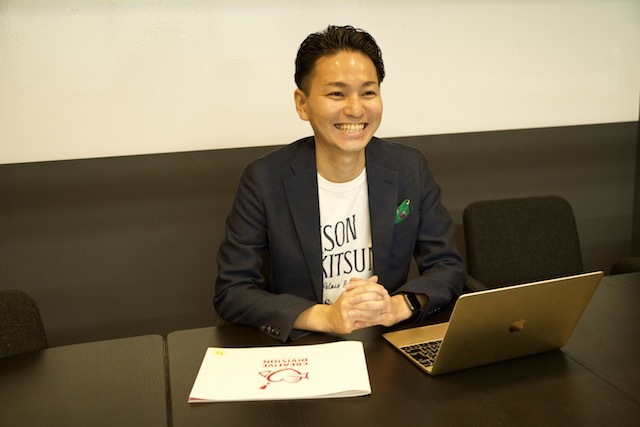 Today we interviewed Y's president Ryuhei Yoneda and asked him about what kind of approach it took to develop Kemono Friends' logo, what Y's thinks about the idea of design, what kind of education is needed to give life to certain contents and so on. -- First of all, could you please tell us how Y's was established? Ryuhei Yoneda: Y's celebrates its seventh term this year. We have more than 70 employees, and about 10 of them are creators like me. I was originally working as a designer at another company, and after being there for 3 years I decided it was the time to found my own. After all, it's better to try and fail when you're still young. -- I would like to ask you about Kemono Friends design. Yoneda: Actually, an interview about the topic was posted in the five volumes of Kemono Friends official guidebook. There, I talked about the circumstances that led us to design Kemono Friends logo and about the workflow until the design completion. However, not much was said about the point of view of designers and creators, so I would like to talk about it today. Yoneda: We've been part of the Kemono Friends project design team since when it still had very few members. At the time, creator Mine Yoshizaki only provided a few illustrations and the general setting, but we started working on the logo right away. While thinking about what kind of logo could best convey the cuteness of Serval-chan, it was decided that the first step of the project would be for the title to be made into a video game. While keeping that in mind, I designed a logo that could be used for any upcoming project. -- How was the logo designed exactly? Yoneda: I think the steps that need to be taken for every kind of design, including logos and visuals, are kind of the same. First of all, we need to come up with a few keywords. 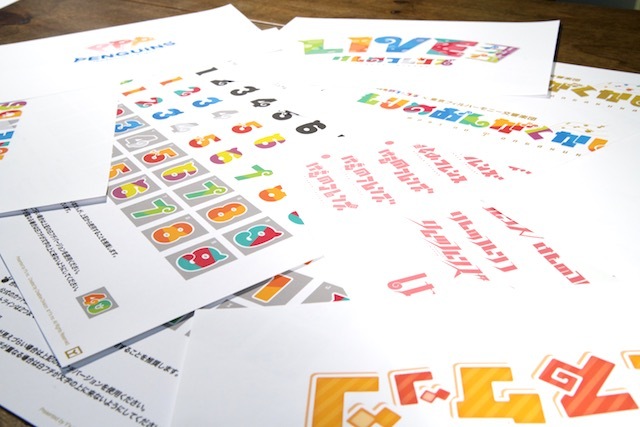 In this case, words that describe the character settings by cutting out the constituent elements of the title, such as "a world featuring various animals", or "a simple concept that can be loved for a long time", or "warm feelings", or "kawaii characters". -- It sounds just like a "bullet point itemization". Yoneda: If when users see the logo they can come up with the things listed in the keywords, it means that the logo is working correctly. When I design something, I want to make the emotions born from my works as close as possible to the users' emotions. That is why I don't just create what I want; instead, for Kemono Friends, I had to keep in mind the ultimate goal for Yoshizaki's project. Yoneda: Of course there are differences between a logo that originates from existing fonts and typos and a logo which is created from scratch. For Kemono Friends, I thought it would be good to create a logo from scratch. After drawing some drafts by hand, I took the ones I thought were closer to the ultimate goal of the project and imported them into my PC. At the beginning, I tend to work on the shape without worrying much about coloring. Since the design gets more and more complicated by increasing color information, I focus on the shape to create something close to the image I have. Once you get used to it, you can also add colors from the beginning - but you need to be careful because you might end up wanting to fix a bad shape with colors. That's why I always tell beginners: "Design it in black and white first"! -- And by fixing the shape you increase the completeness of the visuals, right? But how did you narrow down the huge number of sketches you prepared? Did you have a meeting or...? Yoneda: I was the only one working on the design of Kemono Friends logo, so I had to operate a very careful selection. I tried different approaches to this logo, and I saved one sketch for each of them. By the way, when you meet your client for the first time, you'll end up coming up with so many ideas (laughs). I try not to aim at anything in particular during the first stage since potentially anything could work. -- I see! So you saved different vector files. Yoneda: That's right. In the case of Kemono Friends, we finally narrowed it down to 9 ideas. By the way, depending on the design companies, there are some places where you just have to present three ideas or places where you have to present 50. But this is one of the tricks of design - it's meaningful to have a lot of choices. Of course, one idea can be enough if you're absolutely convinced that's it. However, human nature makes it easier for us to make a choice if there are many options. That's why if you end up presenting one single idea, you'll probably be asked for more. Psychologically, it's easier to choose between 5 options rather than between 2. The fact that there are options has the effect of reducing backtracking and consequently shortening production time. -- Once you've chosen a shape through careful selection, it's time to add colors and decorations. 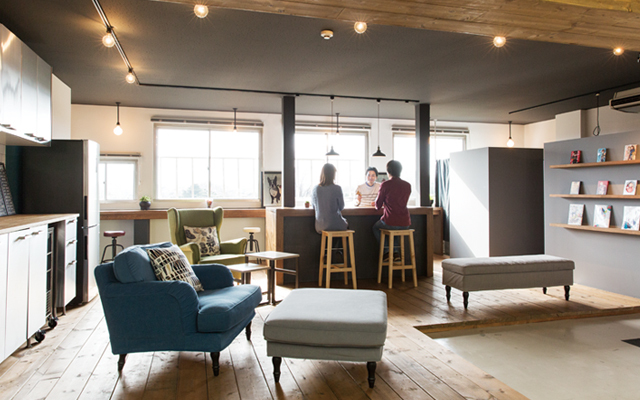 Yoneda: At this stage, I usually show the design to my client and have them choose. This time, Yoshizaki selected three ideas, and I colored all of them. What he said to me is that he wanted the logo to be enjoyed and loved by children and that it had to be a careless, off-guard logo. -- It was the right choice to create a logo which is not font-based! It's hard to create an off-guard logo with common fonts such as Mincho or Gothic. Yoneda: I had the right intuition. About the colors, I presented various images that I had in mind. It was difficult to express keywords such as "various animals" using a black and white logo, so I had to resort to color for that. However, a problem that I encountered is that every single letter ended up representing an animal, and you could understand which animal just based on the color. It shows a limited creativity, and I didn't want that. -- For example, zebra stripes and leopard patterns. It's quite direct. Yoneda: I wanted to avoid that, so I decided to divide the letters by habitat. That way, I could avoid giving each letter a meaning that was too direct, and at the same time, users would understand what the project is about. Also, it turns out that there's a total of 7 mesic habitats where animals live. -- Just like the number of characters in the Japanese logo! Yoneda: Exactly. However, if I ended up assigning one mesic habitat to each letter, some people might have argued that the colors I chose don't really reflect that certain habitat. That's why eventually I arranged the colors by adding some Japanese cherry blossoms, or a purple (in the last letter) that reminds of Dragon Quest marshes. What doesn't look logical enough has to be fixed for sure, but in the end I always trust my feelings when I adjust the balance of a design. Yoneda: I did. Since I knew that Kemono Friends was a project that was going to expand in different directions, I knew from the start that the game was only the beginning. Yoshizaki's goal was to encourage as many people as possible to visit zoological gardens, so I knew that there would probably be many other projects coming up, such an anime. -- The designs that have been created for Kemono Friends anime are also high-quality. The の mark appearing multiple times throughout the episodes, the JapariPark bus logo... I feel like the concept for each of those designs was based on the logo you created. Yoneda: It is also great that Yoshizaki's idea and the goal point I was aiming for were close. If more people were involved, I feel that the progress would inevitably slow down. With regard to the logo of this project, I only had to work with a small number of people. I was very lucky. -- I think all the things you said were skillfully transmitted to users too. Many people are actually going to the zoo, and zoological gardens themselves are also taking action. Yoneda: Actually, I think a logo like this was unlikely to happen. There haven't been many colorful logos so far, and colorful logos are rarely simple and are always very difficult to create. -- When a colorful logo is used in a packaging illustrations, it surely must not overshadow the characters appearing on it. I think what's mostly associated with a logo is a monochromatic color scheme or a gradation. A white version of the Kemono Friends logo appears in the last episode: it was very cool! Yoneda: I also submitted a monochromatic version of the logo, but I was very surprised when I found out how they used it. We'll now present the production process behind the prototype of the logo for Fure! Fure! Best Friends which will be released on December 13th (Wed)! As you can see at the beginning of the video, the concept is initially drawn out by hand and then imported digitally. By following this process, logo production becomes way faster! As Yoneda mentioned in this interview, the form comes first, while the colors and processing come later on. 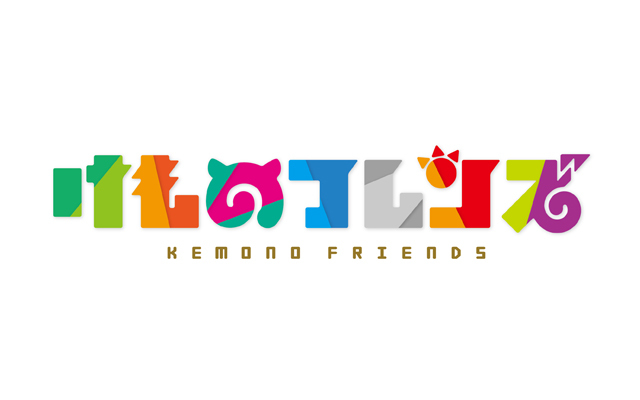 By taking advantage of the peculiar features of this original logo, Yoneda creates another logo that will make you understand it's something belonging to the Kemono Friends series. Enjoy! ...In the second part, we will talk about "design education according to Y's". How are fascinating contents created? Find out soon!